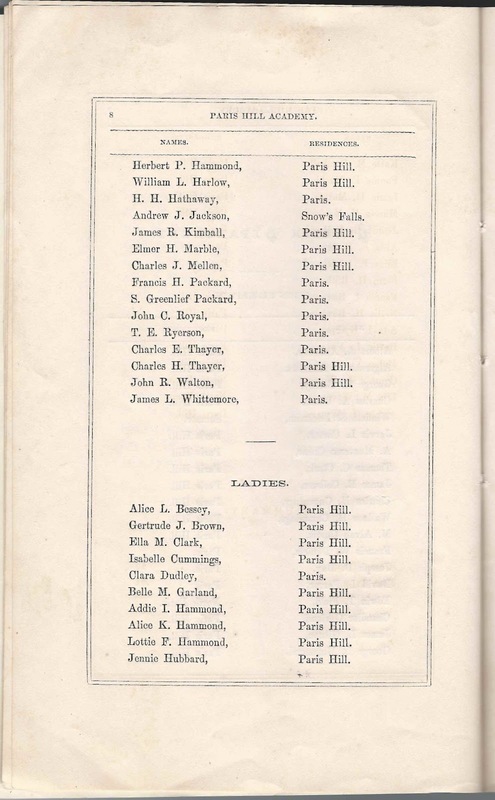 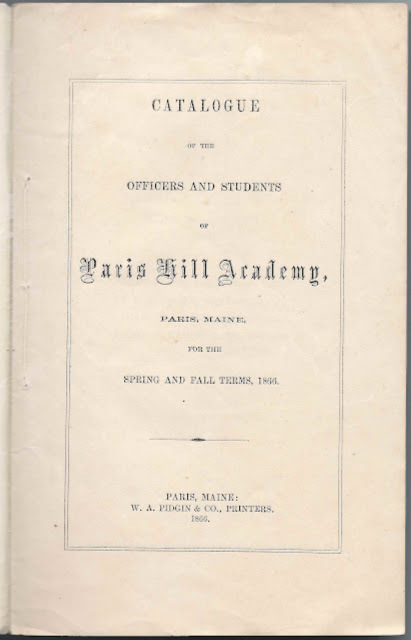 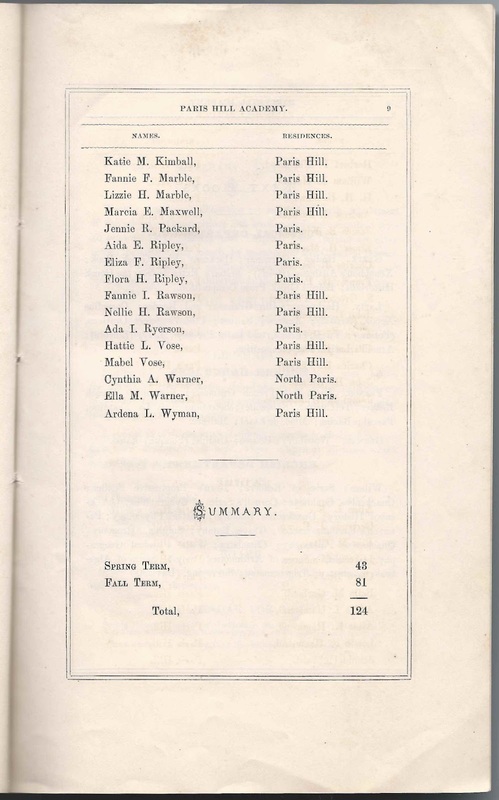 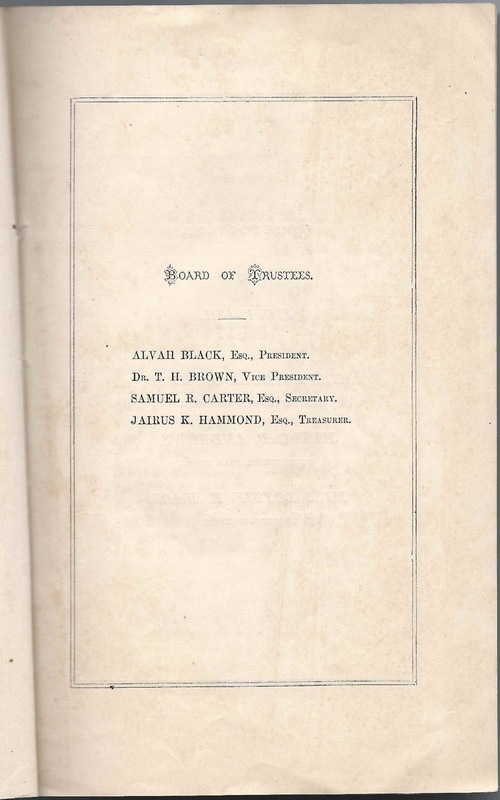 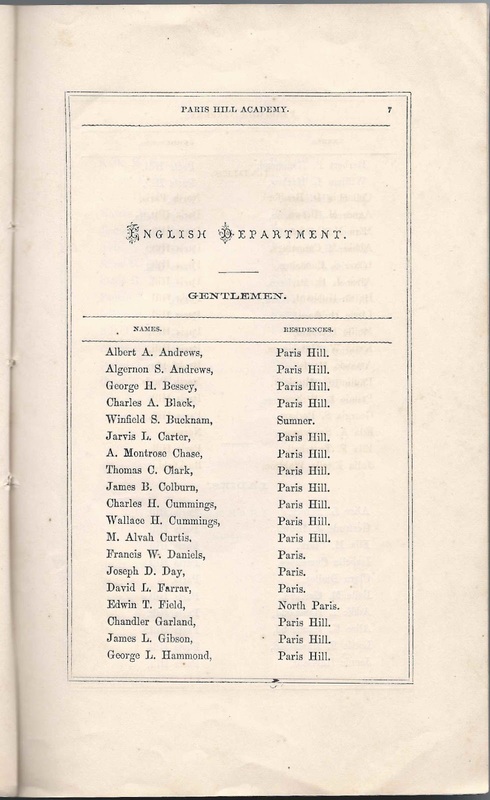 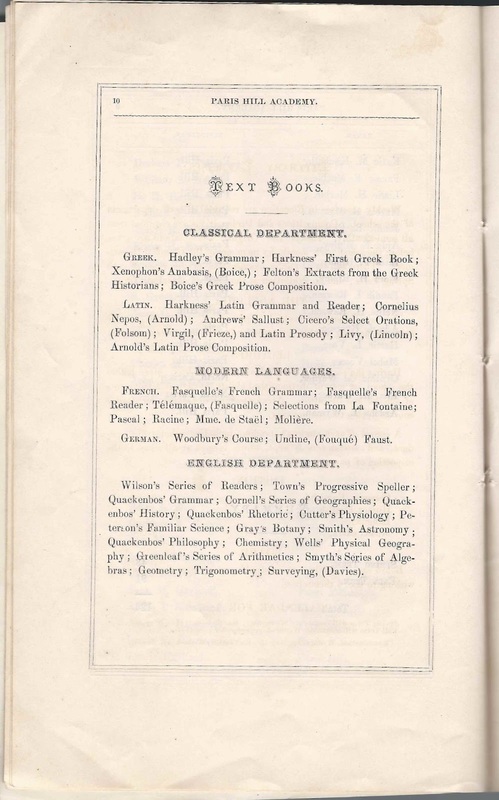 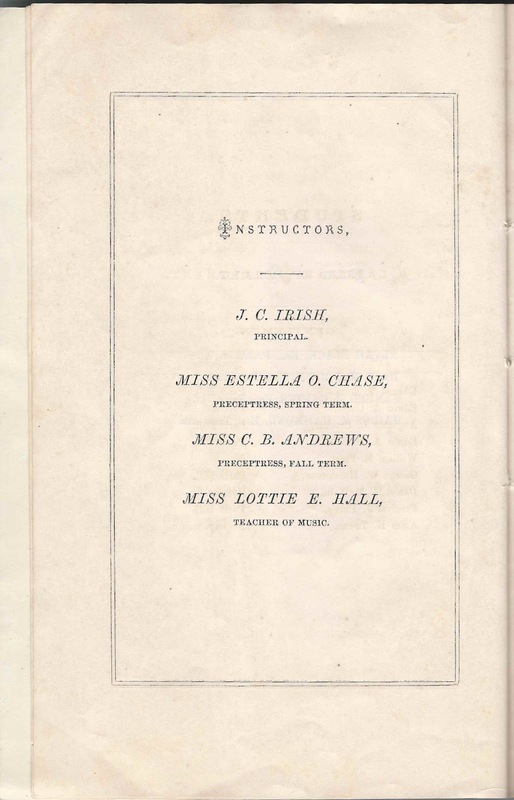 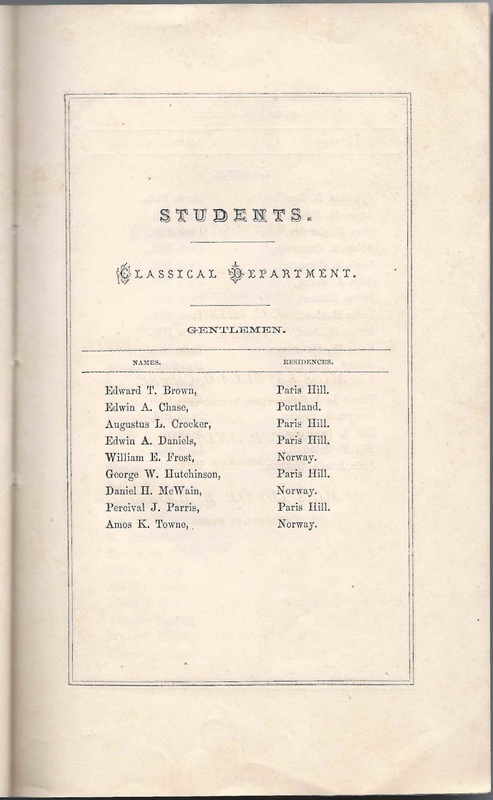 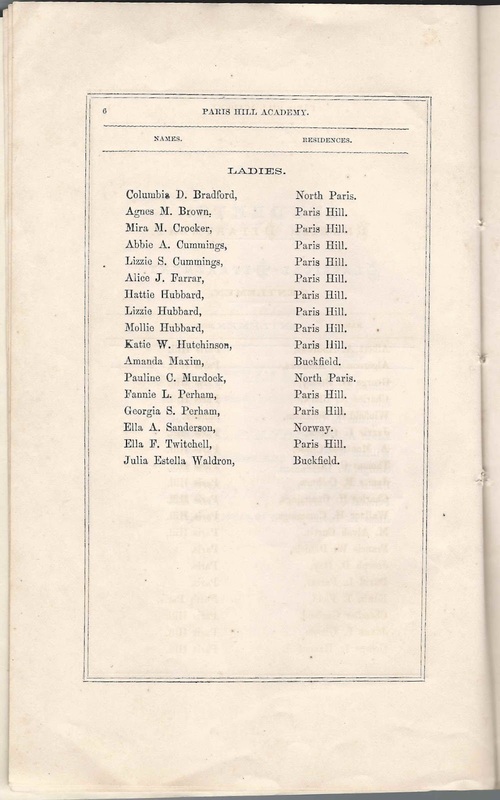 1866 Catalog of Paris Hill Academy at Paris, Maine; contains names of administration, faculty, students. 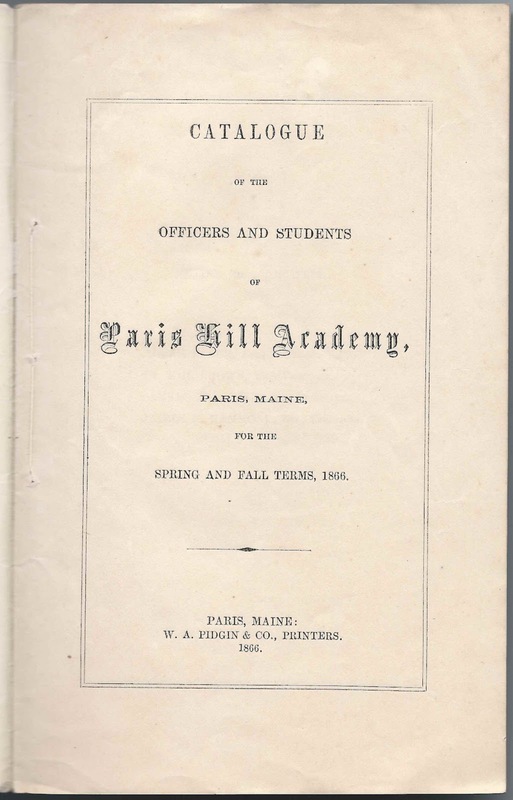 Printed at Paris, Maine by W. A. Pidgin & Co. 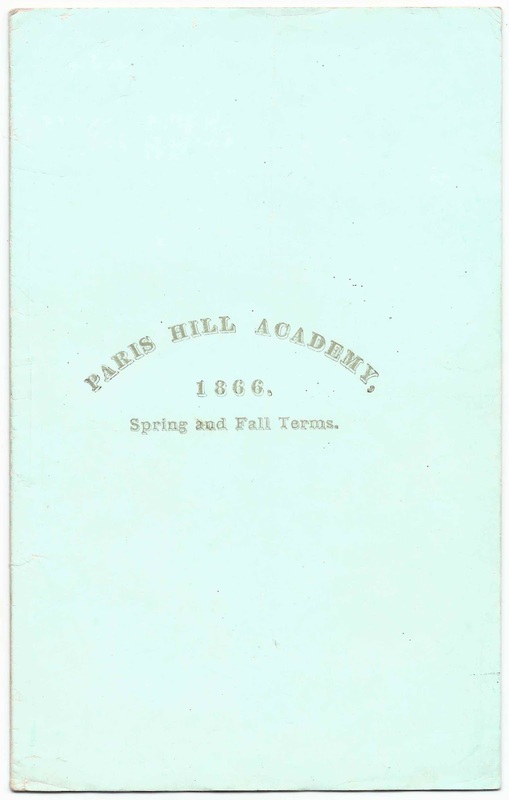 Founded by Hannibal Hamlin, Abraham Lincoln's first Vice-President, Paris Hill Academy operated from 1857-1901. 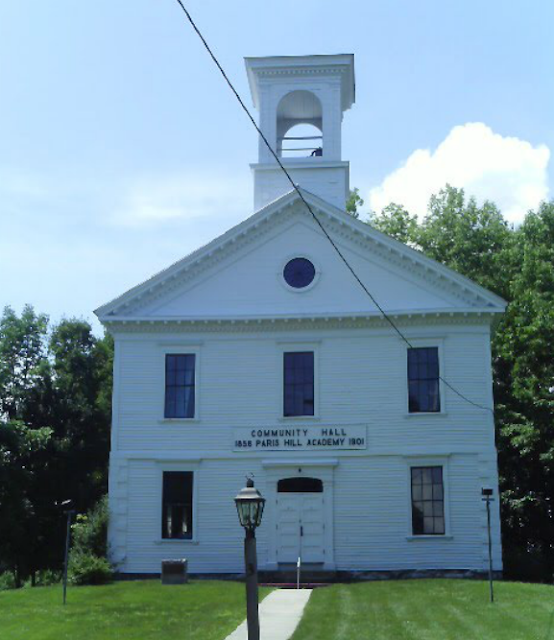 The building is maintained by the Paris Hill Community Club and is used for community and social functions. 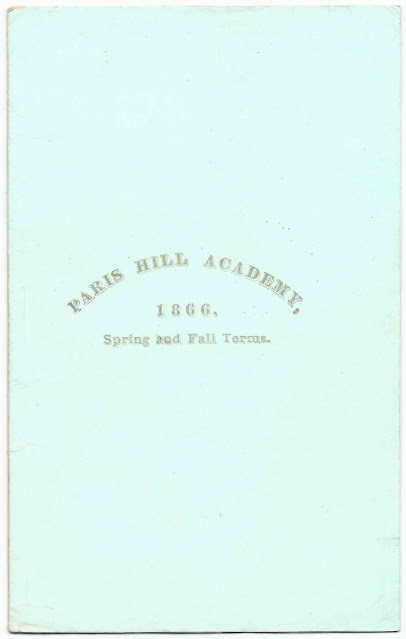 The catalog is approximately 9" x 5-3/4" and contains 11 pages of text. 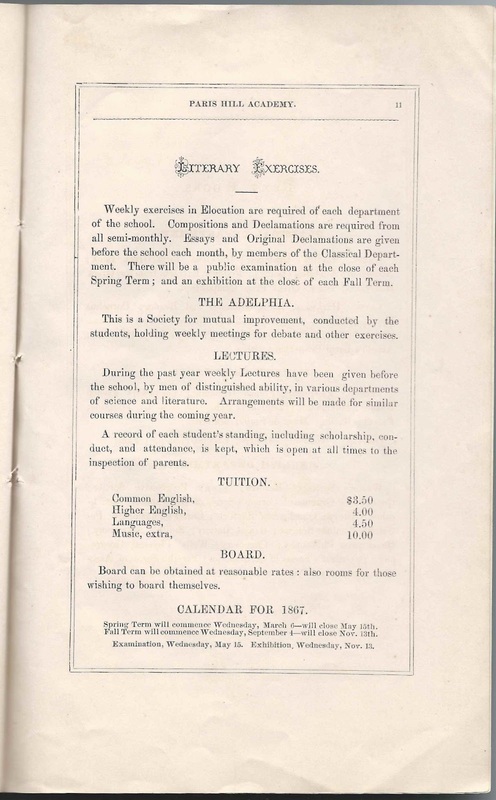 Two pages describing the curriculum, amenities and fees.